God has given His people a clear commission—to reach every creature with the Good News of the Lord Jesus Christ. 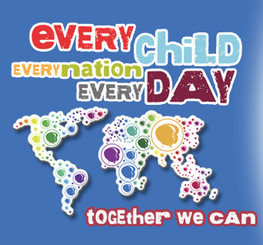 Our special mission in CEF® is to evangelize every child. In the last ministry year our workers worldwide reached over 19.9 million children! CEF® is committed to reaching 15 percent more each year. Strategic ministry choices such as ﻿Good News Across America﻿®, the Around the World in 80 Years project, Good News Club® in public schools, Christmas Across America℠, and concentrating on high potential growth countries will help us reach this goal. CEF® is a worldwide ministry serving in every region of the world in an ever expanding way. We are trusting God to continue to open doors for us around the world. We are committed to leading children to be in God’s Word every day. As children grow in their relationship with the Lord through meditating on His Word, they develop godly character, which produces much fruit to the glory of God, including spreading the Gospel to their peers. We now have over 800,000 Wonder Devotional Books in Africa. Right now we are working to reach 500,000 children in Asia with the books.